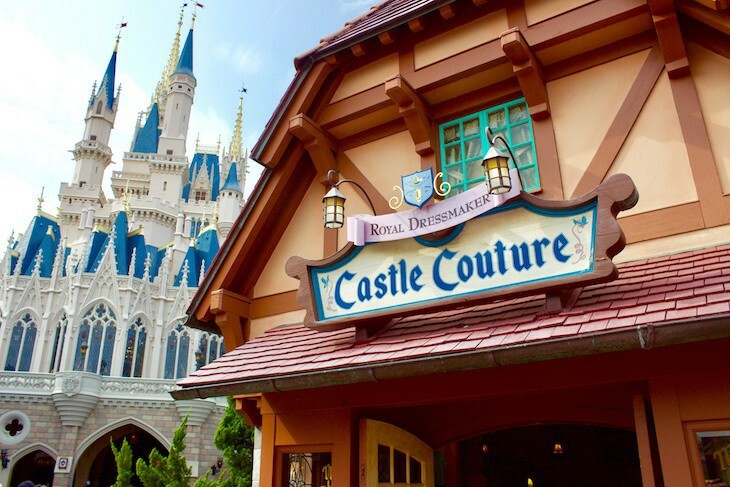 Cross under the towering spires of Cinderella Castle and step into a storybook setting of whimsical gingerbread cottages and glinting turreted rooftops. It’s the favorite land of the young as well as the young at heart. A Bavarian-style village where the fanciful attractions housed in multicolored, tent-like structures are a tribute to Disney’s most cherished, animated films. 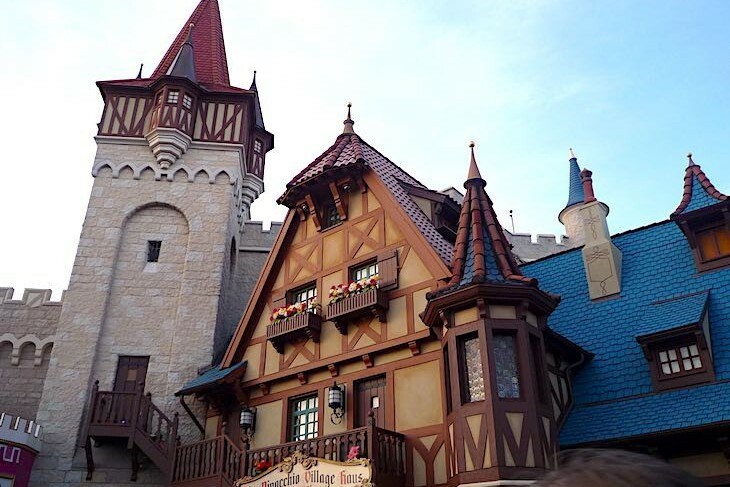 The expanded Fantasyland® includes the oh-so-poplar Seven Dwarfs Mine Train and Be Our Guest Restaurant located in the Beast’s enchanted castle as well as Princess Fairytale Hall. Become part of a Beauty and the Beast storytelling experience at Enchanted Tales with Belle, not to mention Under the Sea ~ Journey of the Little Mermaid as well as Dumbo the Flying Elephant attraction with double the capacity. 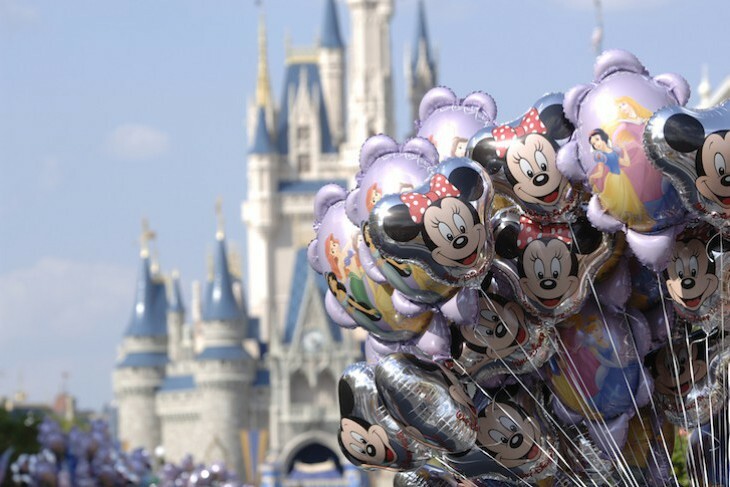 The lovely icon of the Magic Kingdom® Park. 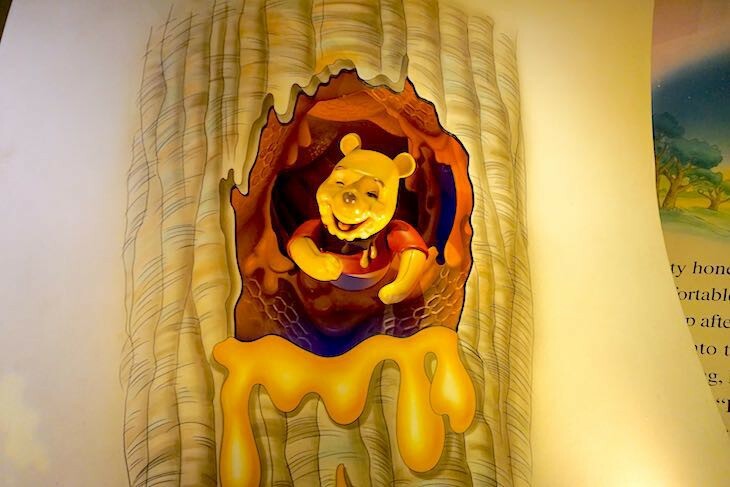 Board giant “hunny” pots to travel through the Hundred Acre Wood with Pooh and his friends. 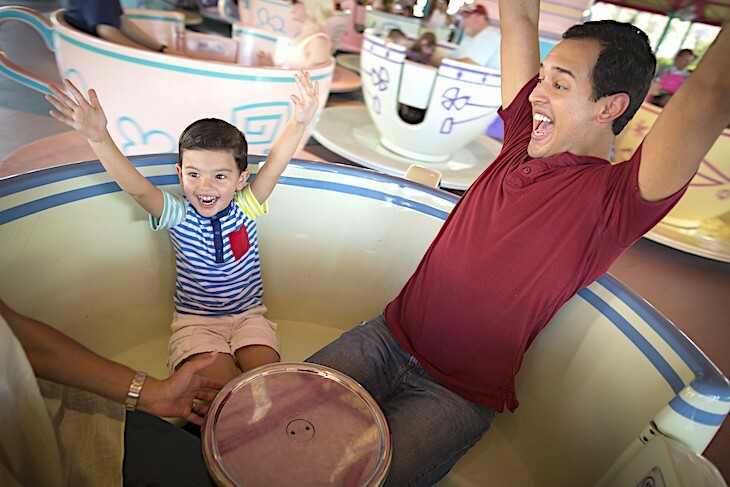 The dizzy mouse you see twirling in the center teapot is probably feeling just about the same as you will after stepping off this giddy ride. Don't miss this fantastic 3-D show. The grotto queue is half the fun at this attraction. This zippy kiddie coaster is a big hit with the little ones. One very popular classic attraction and personally my very favorite. “A million diamonds shine” on this delightful ride through the work world of the beloved Seven Dwarfs. Wind your way through a lovely forest and an interactive gem-inspired queue before being immersed in the enchanting story of Snow White. 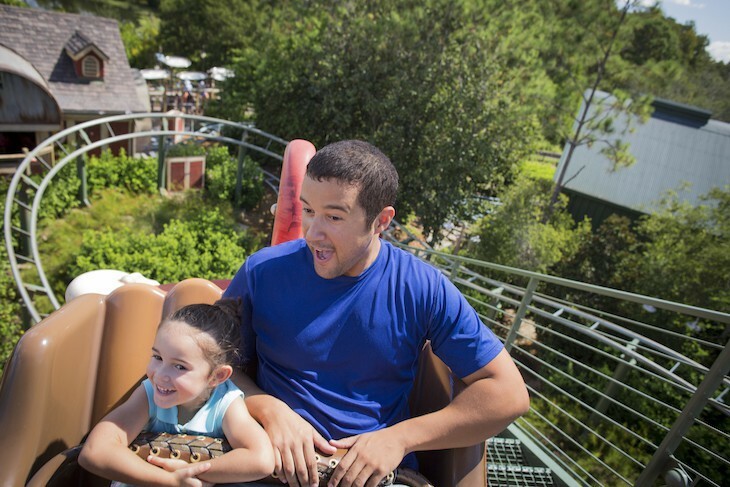 Board your mine train, a one-of-a-kind coaster that allows the cars to swing side to side, and head out on a kick of a ride through rocky outcrops, small hills and dips, and zippy turns. Race through the mine itself where the Dwarfs are hard at work surrounded by glittering jewels, all accompanied to the cherished music of the film classic. 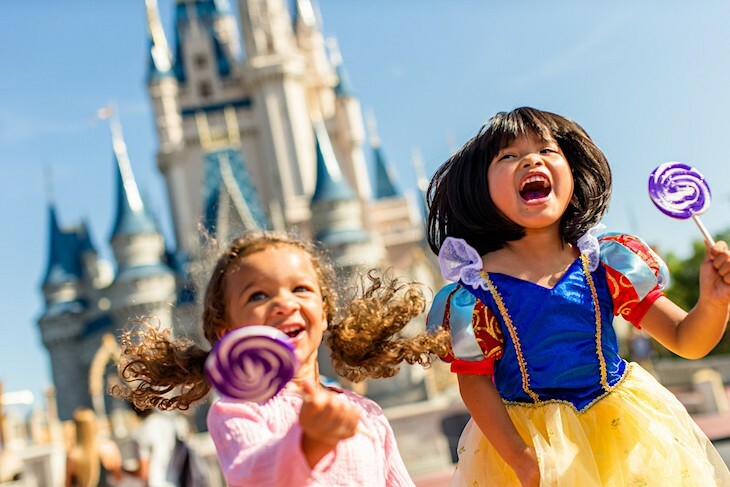 As you near the end of your ride the train slows to catch a glimpse of the Dwarfs’ frolicking in their cottage, and, of course, Snow White herself dancing along with them. This 3-D attraction is a delightful winner! Even though Mickey’s name is featured in the title the mischievous Donald Duck steals the show as he takes visitors along on a wild ride through Disney animated movies, interacting with the largest cast of Disney characters ever in a single 3-D movie. 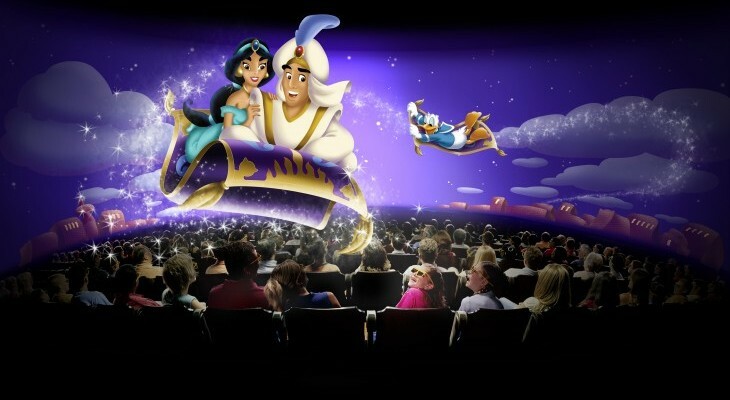 You’ll see Ariel, Aladdin, Jasmine, Lumiere, Simba, Peter Pan, Tinkerbell and more, all accompanied by popular Disney music and fun in-theater effects of squirting water and delicious aromas. Shown on the largest seamless projections screen in the world (150-foot long and 28-foot high), it’s an attraction kids as well as kids-at-heart will absolutely adore. 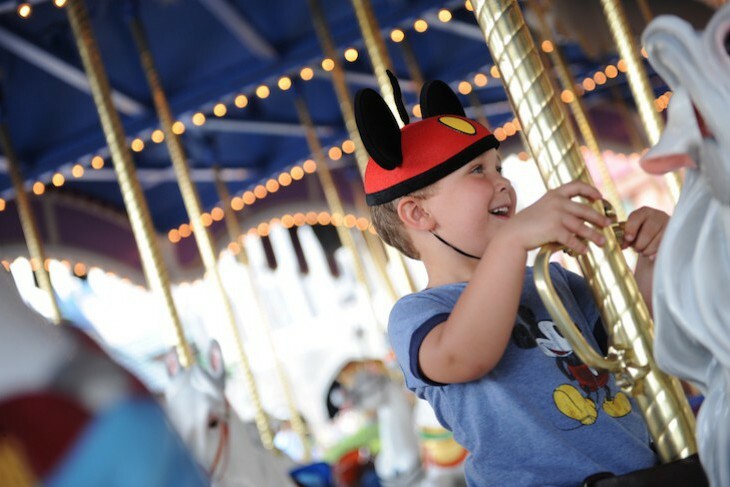 This is one of the most endearing attractions in Fantasyland, sure to steal your heart. 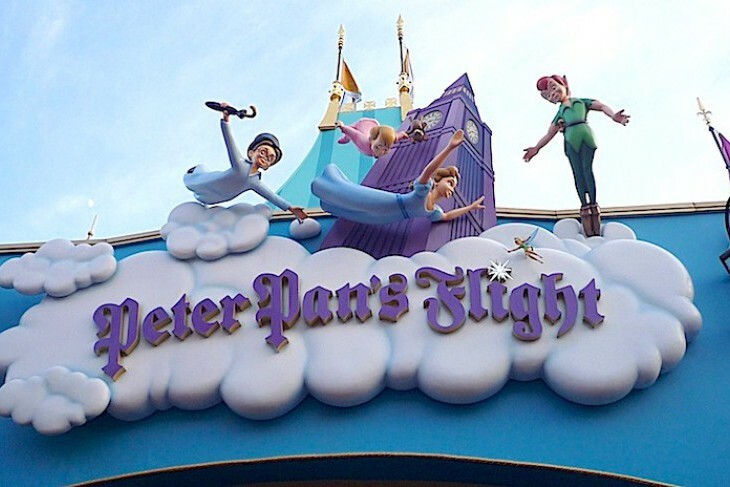 Though old-fashioned and certainly not a thrill a minute you’ll find it hard to resist flying with Peter Pan, Wendy, and the boys to Never Never Land. Take off in gently soaring pirate ships where your adventure begins in the Darling nursery "and off we go," flying over the twinkling lights of nighttime London with Big Ben and the London Bridge standing out against a starry, moonlit city (definitely the best part of the ride). Next stop Never Never Land where far below are glistening waterfalls and glowing volcanoes, lovely mermaids sunning on the rocks, the Indian Village, and our first glimpse of the Lost Boys and Captain Hook’s ship. All the while the movie’s theme song tells us “you can fly.” The sight of Wendy walking the plank with the ticking crocodile waiting below is a bit nerve-racking, but of course, Peter Pan saves the day. This ride is a real charmer perfect for all ages. 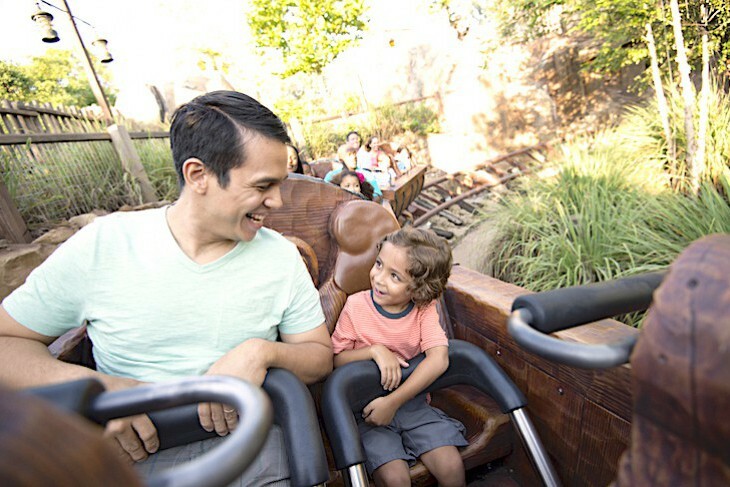 This attraction's the interactive, seaside-themed queue is really part of the fun with many things to explore in and around Prince Eric’s castle including shipwrecks, lapping tides and rushing waterfalls, grottos and caverns, and an abundance of sea life. 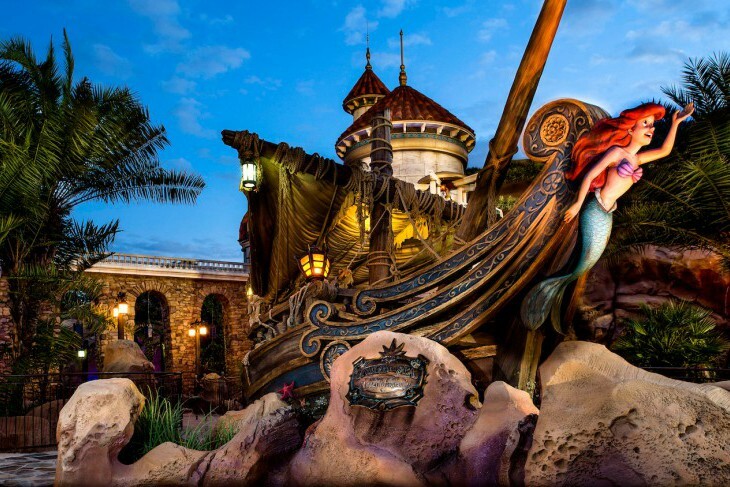 It’s as if you’re truly heading “under the sea.” Then board your clam vehicle and move through scene after scene through Ariel’s grotto where famous songs combined with Audio-Animatronics tell the story of everyone’s favorite mermaid. Cara's Tip: After departing the ride line up next-door to meet Ariel in her colorful Grotto. If you’ve ever wondered what it was like to step into a Disney film then here is the perfect chance. 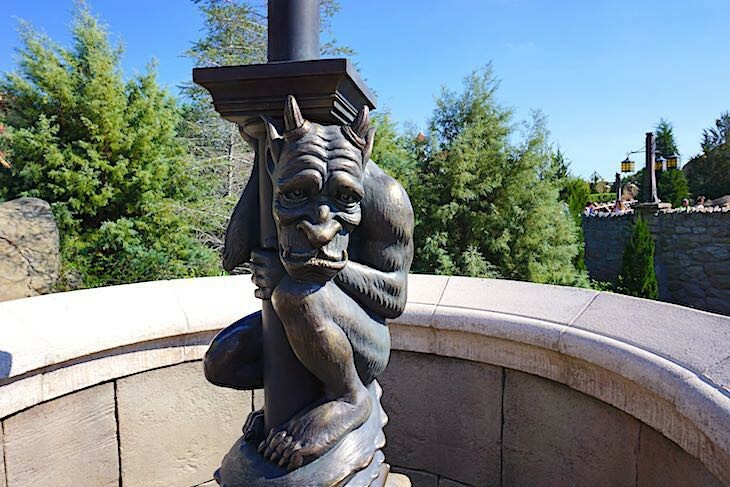 Follow the winding stone pathway in Belle’s village to Maurice’s Cottage above which looms the Beast Castle, then inside the cottage where an Enchanted Mirror comes to life transforming into the entry of Beast’s castle. 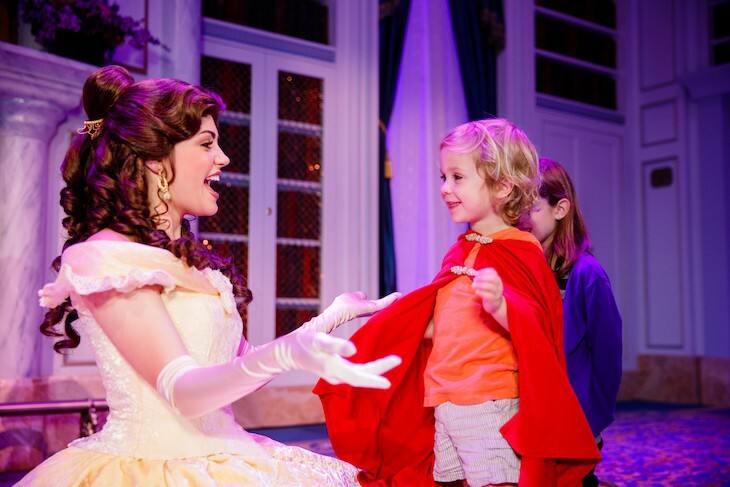 A talking wardrobe and a three-dimensional Lumiere encourages young guests to gather in a surprise for Belle herself. Everyone becomes involved in role-playing, culminating with a fun parade and intimate meet ‘n’ greet with Belle in all her ballroom finery. Cara's Tip: This attraction only holds 45 people per show so what looks like a fairly short line might possibly translate into a lengthier wait time than anticipated.